Inspired by some of football’s most recognisable shield shapes, crossed with the rocker aesthetic. 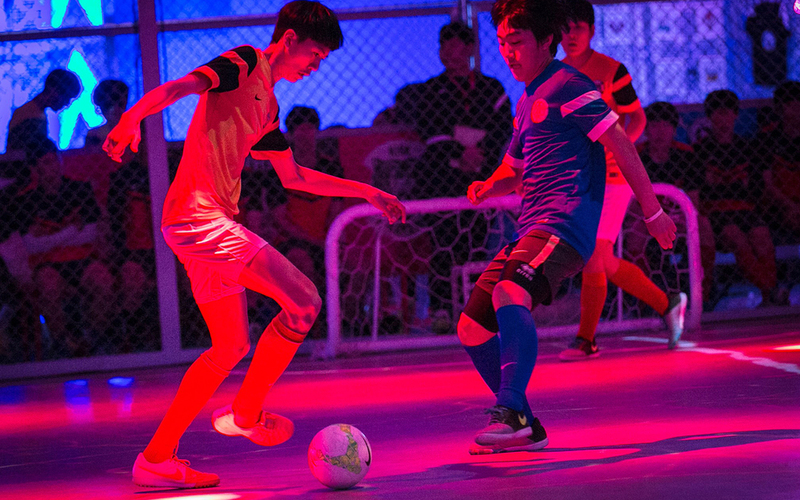 The Language of Football was created to brand the Winner Stays football tournament staged in 28 countries. 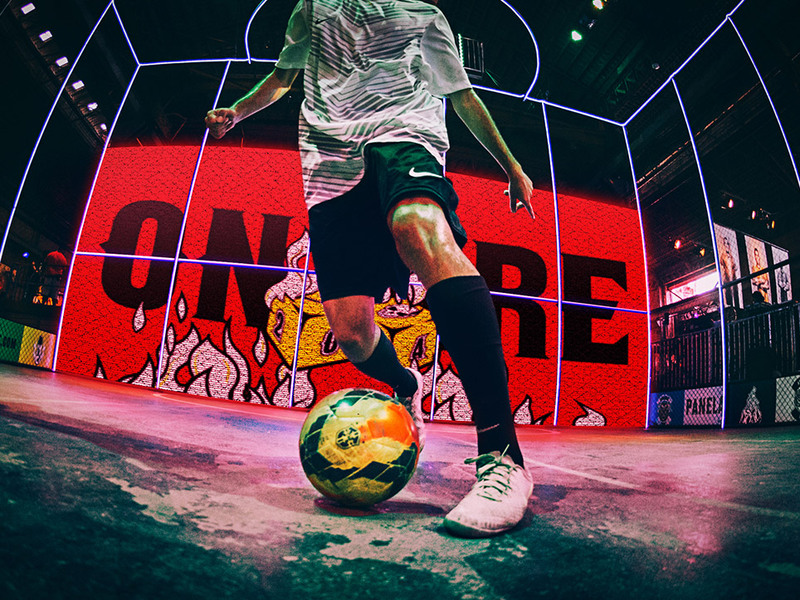 In key cities we built a football cage featuring a pitch-sized LED wall that reacted to the football action.Using our iPad Badge Maker app, we enabled teams competing in Winner Stays tournament to create their own custom Language of Football team-badges. Our rebel visual language took over Nike global retail, and featured on limited edition product.